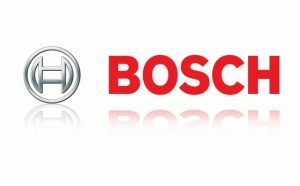 The Bulgarian unit of German technology giant Bosch registered sales amounting to nearly BGN 53 M in 2014, up by 35% from 2013, according to Mihai Boldijar, General Manager of Bosch Romania and Bulgaria. Boldijar said at a press conference that Bosch had strengthened its presence in Bulgaria, outpacing the average growth rate on the market. He predicted that the trend would continue in 2015, according to reports of Trud daily. Bosch Bulgaria has three divisions, including Mobility Solutions, Consumer Goods, and Energy and Building Technology. By December 31, 2014, Bosch Bulgaria had a total staff of 50. Following the acquisition of middleware specialist ProSyst in April, 2015, the total number increases over 2-fold. Although it is based in Cologne, ProSyst has an R&D center in Sofia with a staff of over 100 people. Boldijar described the acquisition of ProSyst as an important step for the company’s development in Bulgaria. He pointed out that the substantially increased the scope of Bosch’s business in the country. Boldijar argued that the deal would help Bosch play an even more important role on the growing Internet of Things (IoT) market. Lyubima Milkova said that the the market share of Bosch Bulgaria in the sector of car parts had been 2% in 2014 and in 2015 it was expected to grow to 3%.